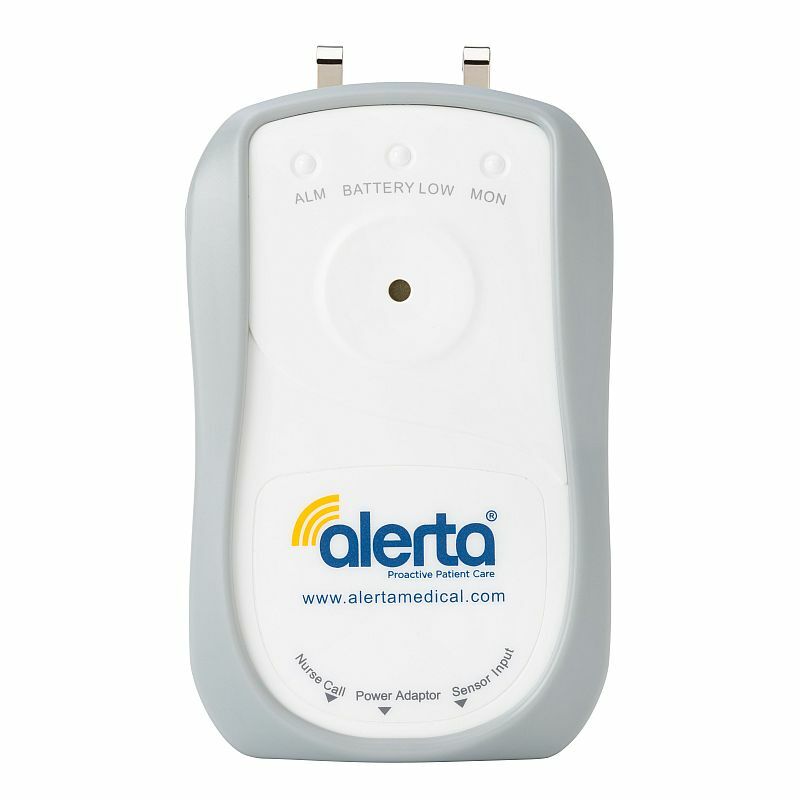 The Alerta Alarm Monitor is an alarm monitor compatible with the Alerta Chair Alertamat Pressure Alarm Mat the Alerta Bed Alertamat Pressure Alarm Mat, the Alerta Deluxe Alertamat Pressure Alarm Mat and the Alerta Floor Alertamat Pressure Alarm Mat. This Alarm Monitor comes as part of the Bed and Chair Alertamat Systems, and can be purchased separately if a replacement or spare is required. It is powered with the use of a single 9V battery or plugged into the wall with the Alerta Mains Adaptor. This alarm monitor is an improved version of the previous Alerta Alarm Monitor, featuring a more ergonomic design and improved features. Building on an already intuitive alarm system, this monitor improves patient safety and provides peace of mind for patient and carer alike. This alarm monitor is equipped with a range of features to ensure safe and efficient operation, including a low battery alert and a number of choices of alarm tone. 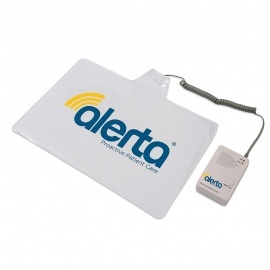 To reduce the risk of false alarms, this monitor is made with an adjustable delay, allowing the carer to choose how long the mat needs to be activated before and alarm sounds. The alarm is reset automatically when the patient returns to their bed or chair, and the monitor features a choice between high and low volume alerts to suit different environments and needs.